Jason Moran, Savoy Ballroom 1, 2015. World-renowned jazz pianist and composer Jason Moran is also a visual artist whose fascinating work explores the interplay between objects and sound, sculpture and stagecraft. 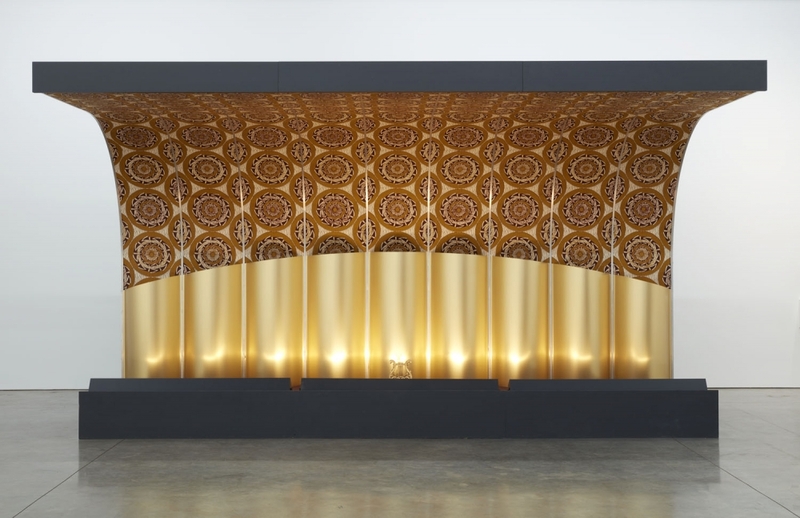 The first exhibition to present his visual art in a museum context, Jason Moran surveys the range of mediums the artist has explored—from intimate charcoal drawings to large-scale installations—while simultaneously showcasing his art world collaborations. Moran grounds his practice in music while bridging the visual and performing arts. Known for dynamic musical compositions that challenge conventional forms, Moran has an equally experimental approach to producing his visual art, which pushes beyond the traditionally staged performance, sculpture, or drawing to amplify the ways that all are inherently theatrical. Featured in this exhibition are Moran’s mixed-media “set” installations that pay homage to the places and processes of jazz. Several pieces evoke the architecture of music venues that were pivotal to genre’s evolution, including New York’s Savoy Ballroom and Chicago’s Three Deuces. And just as jazz musicians come together to engage in a collective process of improvisation—another aspect of the “set”—Moran partners with other visual artists to create video-based installations. You’ll encounter his collaborations with Theaster Gates, Glenn Ligon, Julie Mehretu, Adam Pendleton, Lorna Simpson, Kara Walker, and Carrie Mae Weems, among other celebrated figures. For more information, please visit the Wexner Art Center's website.